Learn how to quickly and easily setup, tweak and dial-in your marine electronics with RipaLip University! 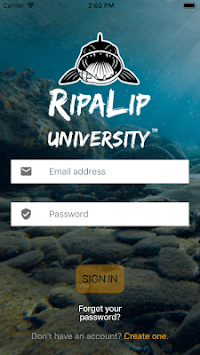 · Access – RipaLip University quickly and easily places information in the palm of anglers’ hands. The mobile app makes it convenient for anglers to retrieve information while they are on the water, where they need it the most. · Education – Users can browse through products from Humminbird, Lowrance, Minn Kota and Motorguide, eliminating the need to review cumbersome and lengthy manufacturer owner’s manuals or search YouTube for more information. 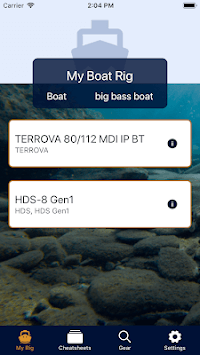 · Personalization – RipaLip University’s “My Rig” section allows anglers to customize the app for all the gear on their boat. 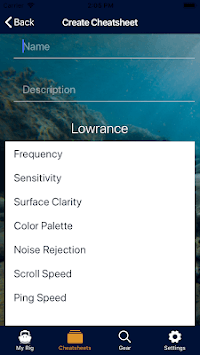 The Pro version of the app also allows anglers to create an unlimited number of cheatsheet settings for their favorite bodies of water. · Cost-effective – RipaLip University offers two versions of the app. The free Angler version provides access to many functions including the quick start guide, resources, and My Rig. The paid Pro version unlocks the complete app content and unlimited cheatsheets. - David Janiszewski, RipaLip Owner and Founder.